Range (from Wiktionary) – A fireplace; a fire or other cooking apparatus; now specifically, a large cooking stove with many hotplates. Personally, I think they could have found some place more comfortable – such as my bed! 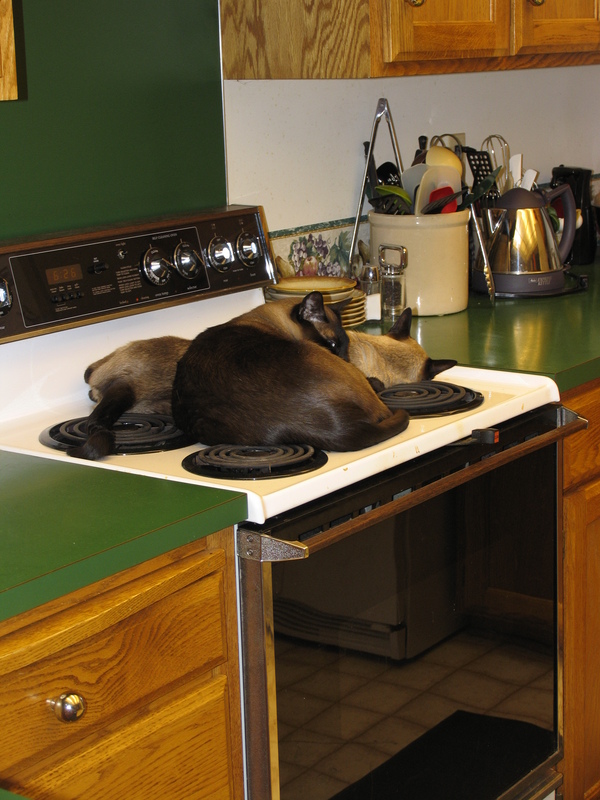 That was the only time I ever saw the cats sleeping on top of the stove, although the picture was dated January 2. Still, it doesn’t seem to me that the stove would have been more comfortable than someplace with blankets or pillows. Word for tomorrow – THING. If you prefer to work ahead, see the list for the week under “A Word A Day”. ← Far – And It Is So Far to Go Too!